When you’ve read my previous post two days ago, you might be under the impression I got ill or didn’t make it, but the truth of the matter is; I’m healthy as a fish, just I didn’t experience that much to make it interesting for visitors, or in other words; I lacked the necessary inspiration. But let me tell you when I got here in S-E Asia last December from Holland by Malaysia Airlines. On board they had inflight entertainment on a small 5 or 6 inch screen and since I always have problems to sleep aboard planes, I watched a few movies and afterwards went to the gaming section. 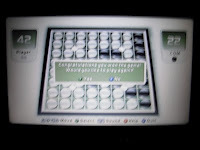 Besides Connect 4, one of my favourite games is Reversi, sometimes referred to as Othello. On board it was presented as a multi-player game, so you were able to play it with fellow passengers. I tried it, (See photo 1), but unfortunately most of the potential opponents where asleep at that time. So I choose the single player option, starting with medium level, but having played it for 3 years on my first Nokia years ago, I managed to beat the computer 2 times, which was not that challenging (See photo 2). 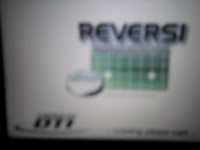 Increasing level to expert, I lost the first time, then a win and subsequently a tie, which is for Reversi a bit of an exception. 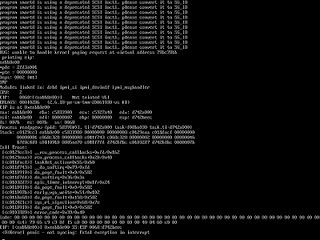 Numbed by the success I wanted to carry on, but got a Linux error instead, taking about 20 minutes to recover (See photo 3, which is not the original, since the battery of my camera was empty by then). So after recovery I played the same game again and after a while coincidentally got a tie for the second time, resulting in the same crash. Try it yourself when you’re flying Malaysia Airlines or an airline having on board a Reversi game made by DTI and play the single user mode and attempt to get a tie maybe at lowest level, if you’re not an expert. It’s great fun, because I warned my Malay neighbour, who just woke up and told him there must be something wrong with the airplane’s computer pointing to my screen, all other screens where out at the time and I must say; it didn’t make him feel very much at ease. 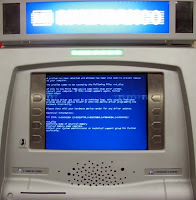 On another occasion I saw a Windows crash screen at a local ATM machine here (Again having no camera at such precious moments) and thought: “Oh my goodness, if that’s the level of security they’re maintaining, it’s not very save to withdraw any money from ATM’s driven by Windows OS”, so I opened a local bank account and linked it up with a new Thai Paypal account and transferred money from my excisting Paypal linked to my local bank. Paypal will charge you 0.5% to withdraw money from your account, which is much cheaper than the traditional way. Still it will take take you 5 till 7 days, similar as a normal bank to bank transfer. 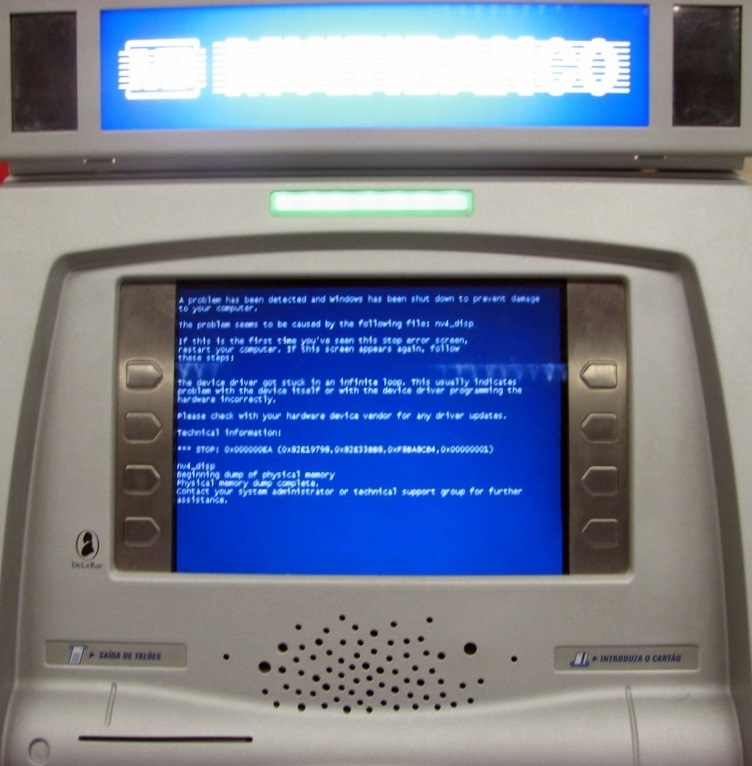 In the mean time I found a potential better way, namely; Moneybookers.com who will do the same for you, needing just one account, they charge you 1% till 2,5% depending on bank or credit card remittance and a fixed fee of 1.80 EUR per transaction, but the good thing is they have a ceiling of 0.50 Euro per transaction, which is very favourable for higher amounts, but I’ll get back on this subject later. After I started this blog, I now always keep a fully charged camera within reach almost under any condition, except when swimming in the pool, since my new camera is not waterproof anymore like my last camera, which was stolen, but instead it has a zoom lense, which is very convenient I must say. And I will use it until I get hold of the Samsung W880 camera-phone, which besides the regular modern features has a 3x Optical zoom and will save space in my pockets, which are now mostly stuffed with 2 phones, petty cash and the camera.